This entry was posted in Christianity, Church, Reformation Period on October 31, 2017 by Dave. THREE CHEERS FOR REAL BOOKS! This entry was posted in Reading on October 30, 2017 by Dave. This entry was posted in Bible on October 25, 2017 by Dave. This entry was posted in Spiritual Life, Suffering, Technology on October 20, 2017 by Dave. This entry was posted in Uncategorized on October 19, 2017 by Dave. The words are in quotation marks because they are borrowed from Mike Ovey’s column in a recent issue of Themelios. This is the stance that insists that all the relevant biblical passages on a stated subject are exegetically confusing and unclear, and therefore we cannot know (hence “imperious”) the mind of God on that subject. The historical example that Ovey adduces is the decision of a church Council during the patristic period whose decisions have mostly been forgotten by non-specialists. At a time of great controversy over Christology—specifically, over the deity of Christ—the Council of Sirmium (357), which sided with the pro-Arians, pronounced a prohibition against using terms like homoousios (signaling “one and the same substance”) and homoiousios (signaling “of a similar substance”). In other words, Sirmium prohibited using the technical terms espoused by both sides, on the ground that the issues are so difficult and the evidence so obscure that we cannot know the truth. Sirmium even adduced a biblical proof-text: “Who shall declare his generation?” they asked: i.e., it is all too mysterious. Nevertheless, the orthodox fathers Hilary of Poitiers and Athanasius of Alexandria assessed the stance of Sirmium as worse than error: it was, they said, blasphemy. They decried the element of compulsion in Sirmium’s decree, and insisted that it was absurd: how is it possible to legislate the knowledge of other people? But the blasphemous element surfaces in the fact that the decree tries to put an end to the confession of true propositions (e.g., the eternal generation of the Son). Practically speaking, the claim of dogmatic ignorance, ostensibly arising from Scripture’s lack of clarity, criticizes Scripture while allowing people to adopt the positions they want. This art of imperious ignorance is not unknown or unpracticed today. This entry was posted in Uncategorized on October 18, 2017 by Dave. My interview with Alan Jacobs of Baylor on his terrific new book will be coming in the next few weeks. This entry was posted in Book Review, Controversy, Interview, Learning/Education on October 17, 2017 by Dave. I met Greg Ganssle thirty-seven years ago. I was a senior in college and Greg was a young Campus Crusade for Christ (now CRU) staff member. We were on the North Myrtle Beach summer project. Greg was the kind and patient (!) discipler for eight of us guys. Greg has a long-standing interest in philosophy so he eventually got his PhD from Syracuse. He teaches at Talbot School of Theology. Greg writes both scholarly and popular books. 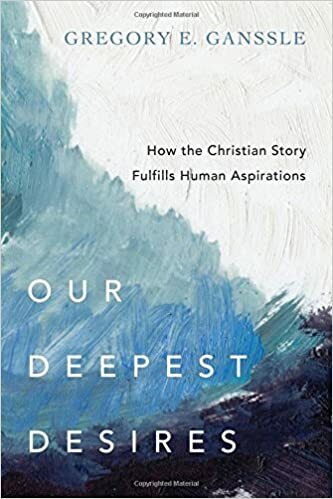 His latest, Our Deepest Desires: How the Christian Story Fulfills Human Aspirations frames this interview. Moore: Is your goal in this book to demonstrate that the Christian claims are true, or have you staked out different territory? Ganssle: David, I am not trying to show that Christianity is true. I think most people think something like the following: “I am pretty sure Christianity is false, and I am glad.” I am trying to get at the second part of the claim. I want people to see that, if they think about what they care most about, they will see that they want the Christian story to be true. Moore: It is all too rare to find Christians who do a good job of shrewdly sneaking up on you with their creative and clever arguments. For me, the writings of Augustine, Pascal, Newbigin, Chesterton, and Lewis are examples worth following. Tim Keller is a good modern-day example, but he is always invoked in this regard, which makes me believe the landscape of the “creative and clever” is far from glutted. Why is there a dearth of this kind of approach to Christian persuasion? Ganssle: This is a good question. I think many times we speak and write as if the most important thing is convincing someone of the truth of our position. Thus, we tend to focus on arguments and evidence. What we often fail to see is that people are often not persuaded by our presentations. We don’t pay enough attention to identifying the things that constitute a person’s real objections to the gospel. Moore: I’m sure you know some happy non-Christians. They have meaningful work, good relationships, and are content. My next-door neighbor is like this. How does your book help us address folks like those? Ganssle: I make the distinction between local meaning and global meaning. On an atheistic view of reality, there is no global meaning. The universe does not care if you are fulfilled. The fact that there is no global meaning, however, does not mean that the atheist cannot find local meaning. Many of our family or friends find real meaning in the people they love, the work they do, and the things they care about. Moore: Let’s assume the trinity is the correct view of God. Do Christians have an advantage over Jews and Muslims in articulating the beauty and coherence of what they believe? Ganssle: I do discuss this in the book. One advantage is that on the distinctly Christian picture of God, relationships are part of God’s very nature. God is his own community, so to speak. The fact that our relationships are so fundamental to our lives, then, makes sense. It reflects one aspect of the deepest reality. Moore: You have some wonderful things to say about goodness and beauty. Why does it seem that many are not so interested in such things. And to be frank, beauty is not high on the list of many so-called Evangelical Christians in America. Why the lack of interest? Ganssle: There is a long historical answer to this question. With the rise of the Enlightenment, the discussion about God has centered on truth. Believers have entered this conversation and aimed to articulate a compelling case for the truth of Christianity. In the middle ages, truth was linked to goodness and beauty as the “transcendentals.” These were grounded in the very nature of God. I think believers today are recovering a thicker vision of both goodness and beauty, and this trend will solidify our witness to unbelievers as well as our own delight in God and the world he has made. Moore: What are a few things you would like your readers to take away from your book? Ganssle: For those who are not yet believers, I would hope they would be prompted to think deeply on their deepest desires and how the Christian story provides a solid base for these. For those who are believers, I hope they gain a deeper appreciation of their own faith. In addition, I hope they become more adept at holding forth the gospel as a vision of life that is intrinsically attractive. This entry was posted in Apologetics, Book Review, Christianity, Interview on October 14, 2017 by Dave. Think wisely. There is much to know in a thousand plus worthy subjects. Make your primary pursuit Scripture. After that, you will have to choose wisely where your efforts go in what you study. Yes, all truth is God’s, but that does not mean it is equally valuable. Think deeply. For subjects worth studying, push yourself. Most of us can go deeper than we realize. Think in community. We all need others. We need their perspective and to hear how they process important truths. But never forget that all this thinking well is pointless if it does not motivate us to love God and others more. This entry was posted in Learning/Education on October 7, 2017 by Dave. From my forthcoming book, God, What on Earth are You Doing? 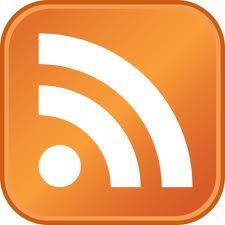 We live in a world with easy access (thanks to media) to the never ending news of injustice, suffering, and evil. How do we process this avalanche of sadness without going mad? Years ago, I heard theologian David Wells say that only God is able to handle all the suffering and evil in the world. We were not designed for the constant bombardment of bad news, so it would be wise to consider how much we ingest on a daily basis. Perhaps we should take the popular option of doing what Voltaire prescribed many years ago: simply hunker down and only “tend our own gardens.” Tending to our own affairs does seem to be a good way to maintain some semblance of sanity. Recently, I preached in various churches from the book of Lamentations. Towards the end of my sermon preparation I spent some time reflecting on the common responses people have to suffering. I’m sure there are others, but I came up with three “D words”: detachment, diversion, and depression. My wife later added desensitized which could easily fit as a characteristic of those who detach. The idea of “detachment” from pain is gaining popularity in everything from business books to popular books on spirituality. Diversion is also something we’ve already addressed. Again, diversions in and of themselves can be welcome respites from the constant onslaught of grief, but it is unhealthy to never face your struggles. The response of depression is something many of us can identify with. We look at our broken world in all its chaotic mess and we despair. Another “D” came to my mind later with diminish, where we downplay how bad things are. I think those as well could be plugged under the detachment option. Jesus provides us the perfect example of how to handle the devastation that comes from acute suffering. In the Garden of Gethsemane, Jesus’s “soul was deeply grieved, to the point of death.” (Matt. 26:38) Jesus was deeply troubled, yet willing to submit to the Father’s will. If it is okay for the Son of God to be so troubled, we too are given much space to cry out to our God. Being baffled by what God is up to and yet still trusting Him can coexist. In fact, these are signs of spiritual health. Lament underscores that we are not at peace with the brokenness of our world, but we can still experience “the peace that transcends human understanding.” (Phil. 4:7; J.B. Phillips New Testament) What good is peace anyways if we only experience it when circumstances are to our liking? The glorious news is that the ultimate lament of all time was given by Jesus on the cross. I like to say that because Jesus gave the only upper case L, lament, we now can “lament with hope.” Our laments can come from deep within. These visceral cries are not just allowed by our great and gracious God. They were modeled by Him! It may feel like our world is crumbling before us, but the worst possible lament was already offered by Jesus. His lament on our behalf gives us confidence that our weeping will not last forever. The older I get I find myself offering two laments on a regular basis: “God, you know how difficult it is to live in this world, right?” and “Please come back soon and make things right!” I’m comforted by the fact that I have the full freedom to offer these prayers of lament to God. Tragically, the cynic’s posture is one many take. It is important to realize that all cynics share a common, but terribly misguided belief: they think they are omniscient. This may sound very strange to you. How in the world does a cynic think he is all knowing? Let me explain. A cynic has determined that he knows everything, and concluded that all indeed is bleak. Nothing or no one seems to be able to change his gloomy assessment. Here is where theology gets practical. Only God is all-knowing. He is the only one who is fully aware of all the pain and suffering that goes on in our world. As we saw, God’s Son gave the ultimate lament for sin. Sin is the reason for all the grief in our world. The irony is that things are actually worse in one sense than the cynic can appreciate for cynics rarely consider their own sin. Fortunately, this is not the end of the story. The cynic has missed a massive truth: God is the author of hope. Biblical hope does not mean our life will be smooth sailing. This is clear from our study of Habakkuk. We can find rest, however, in the hope-filled promise that the “sufferings of this present time are not worthy to be compared with the glory that will be revealed to us.” (Rom. 8:18) Lest you are tempted into a cynic’s mode by saying these words are unrealistic, keep in mind who penned them. The apostle Paul experienced great suffering. He was no mere theoretician when it comes to pain. See for example, Ryan Holiday and Stephen Hanselman, The Daily Stoic: 366 Mediations on Wisdom, Perseverance, and the Art of Living (New York, NY: Random House, 2016) and various writings of the popular writer on spirituality, Anthony de Mello. A profound book demonstrating the impossibility of mixing Stoicism and Christianity is C. Kavin Rowe, One True Life: the Stoics and Early Christians as Rival Traditions (New Haven, CT: Yale University Press, 2016). For the suffering of Jesus, I am grateful for a conversation I had with our son, David. This entry was posted in American History, Christianity, Emotions, Encouragement, Gospel, Suffering on October 2, 2017 by Dave.